Here are the rest of the classic 1980's Lord of the Rings miniatures from Citadel that I painted for The War of the Ring (and its expansion Lords of Middle Earth). I've included some of Tolkien's descriptions for each character, plus my own take. Tolkien doesn't even tell us what race Gothmog was. In Peter Jackson's movies, he's portrayed as an orc with a goiter problem. In The War of the Ring, he becomes a Black Numenorean who wears armor that echoes/perverts the armour of Gondor. 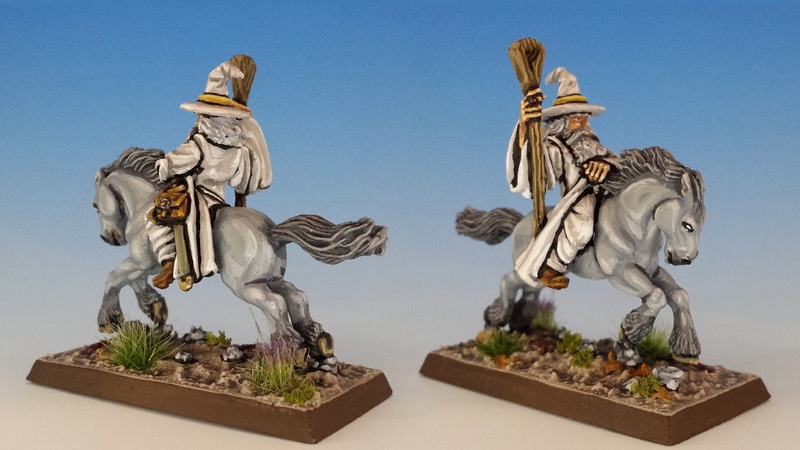 This is how I've portrayed him myself, using a lightly converted ME-24 Gondor Citadel Knight (1985). 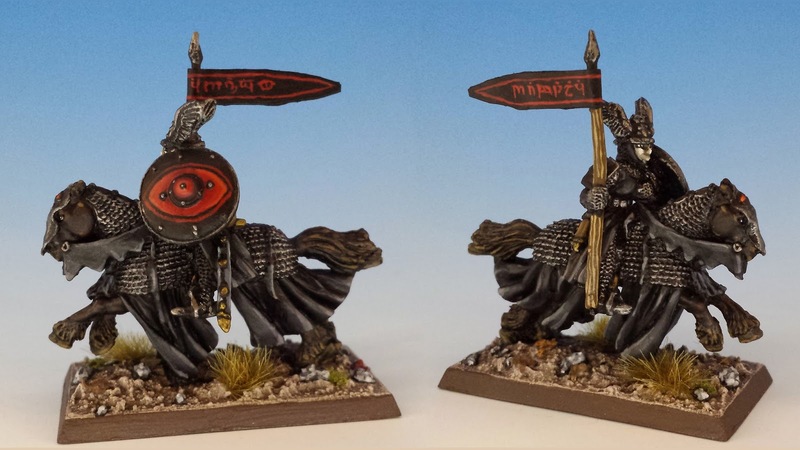 The main changes are his shield bearing the Eye of Sauron, and his banner (which reads in the Black Tongue "One Ring to Rule them All"). 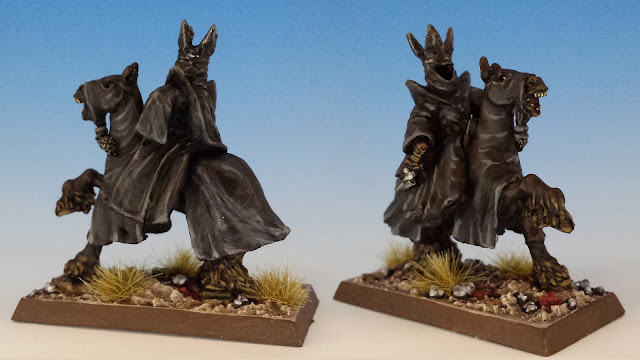 So the leaders of Minas Morgul were the nine Black Riders, with the Witch King as their head. This fact suggests to me that the second in command of Minas Morgul would have also been a Ringwraith. This is also consistent with the only other named Ringwraith in Tolkien's writings: Khamul who was in charge of the fortress of Dol Guldur. In an effort to keep him from looking like Joseph and the Technicolour Dream Coat, I avoided a multi-coloured robe and instead painted Saruman off-white ("I am Saruman the Beige!"). 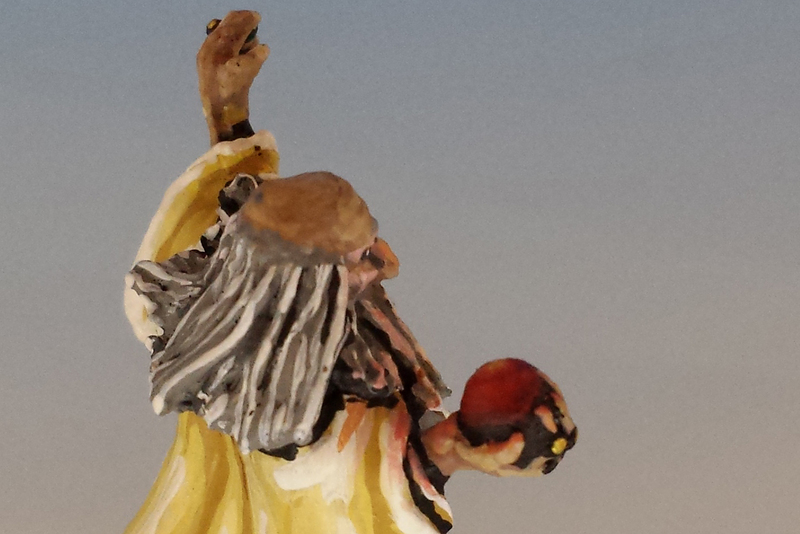 However, I tried to add a little interest to the miniature by giving his Palantir a dim red glow. The Citadel sculptors gave Elrond a saucy little mustache, which makes him look less like an elf lord and more like one of the Village People. I thought about shaving it off with my hobby knife, but decided instead to go where the lead led me... it certainly makes him unique. I further departed from canonicity by making him a red-head. 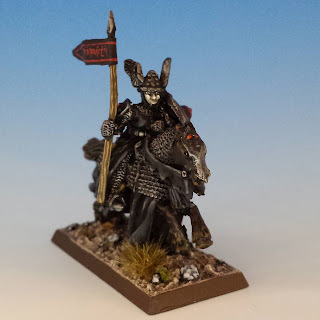 There is no 1980's Citadel miniature for Galadriel, so I improvised, using a solid-base Citadel C08 High Elf Wizard (1984). My version of Galadriel looks like a drag queen to me, but there you have it. Sometimes you try to paint a beautiful elf queen, and she comes out looking like Bianca del Rio. Hands down this is one of my favourite miniature sculptures of all time. It's compact, dramatic and perfectly composed. I love the way Roheryn is rearing and how this is contrasted with Aragorn's steady gaze... for me, it perfectly captures the level-headed audacity of the leader of the Grey Company. Love the extra information I learn of the books when I read these types of posts. 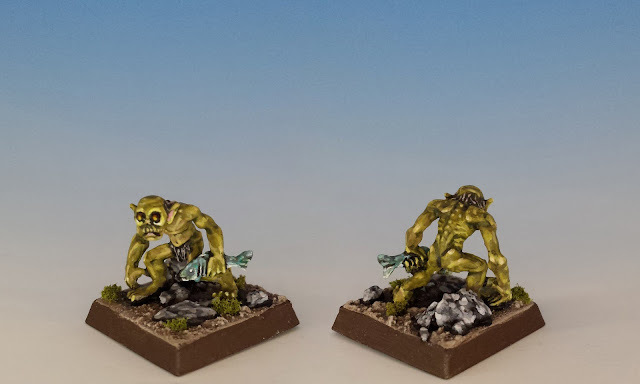 You've got some great figs there with matching paint jobs. 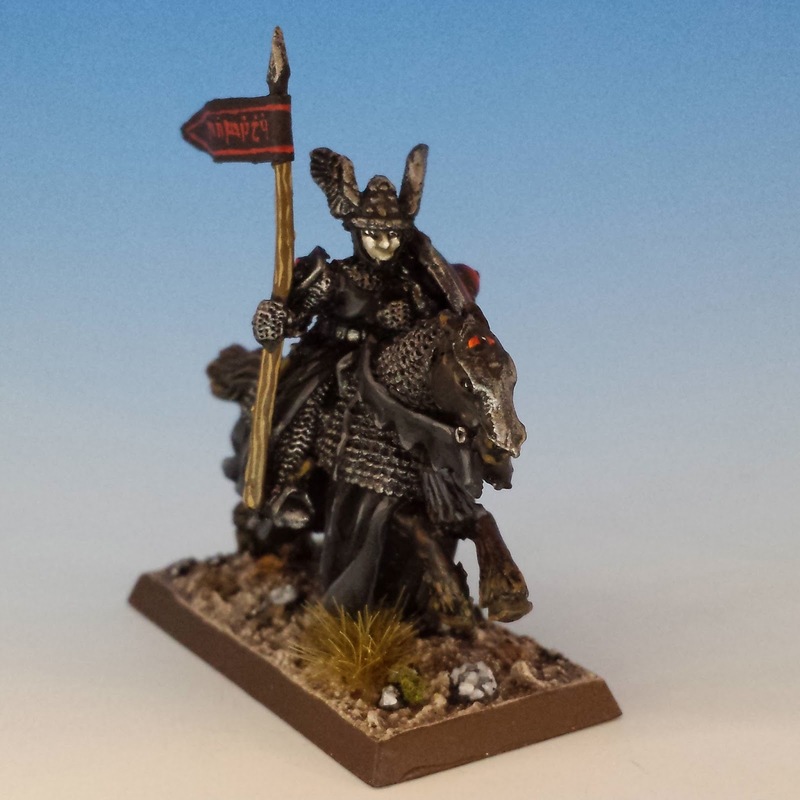 The mouth of sauron is amazing, and gothmog is really well done, bot as a concept, as well as brush work. 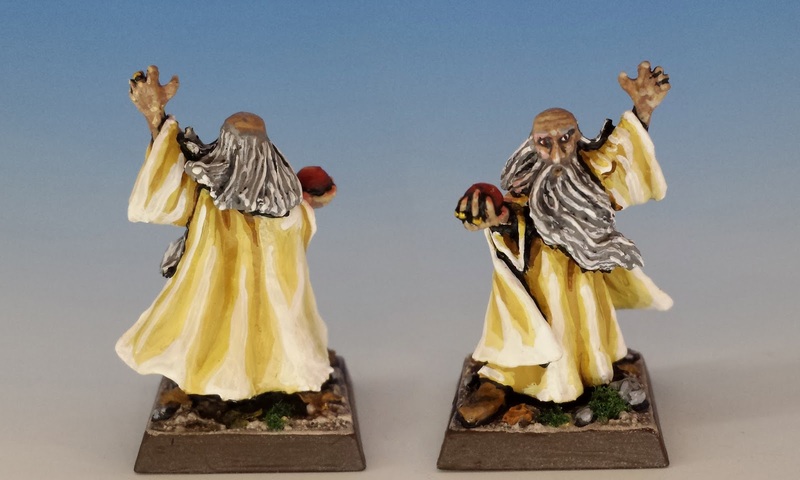 I'm quite impressed with your use of yellows and whites with Saruman. The Elrond sculpt is ummmmm, not my cup of tea. I have to agree with you on the drag queen designation for your Galadriel as well. Looks somewhat like she has some whiskers on her face as well. Yes -- I feel like I should make a little greenstuff adam's apple for Galadriel. Thank you for sharing these lovely figures with us. They have great charm. 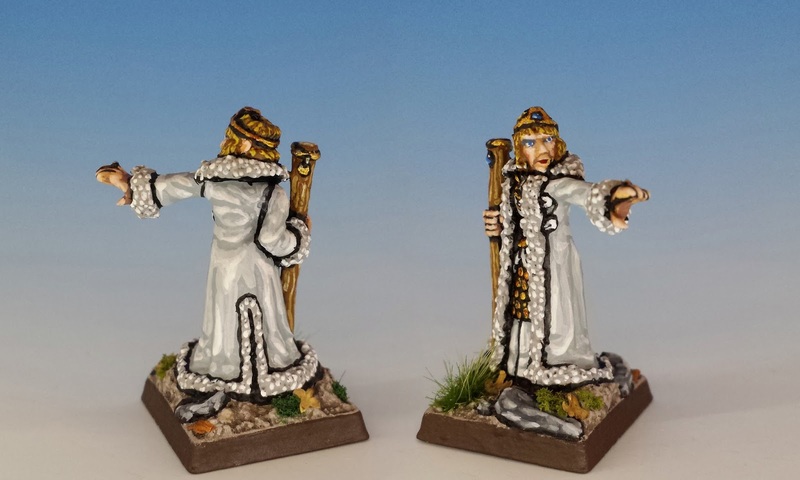 What do you think of the Vendel (Bloody Day) miniatures- they produce an excellent fellowship not to mention other fantasy figures? I had never heard of them until now -- but I just checked them out and they're lovely. 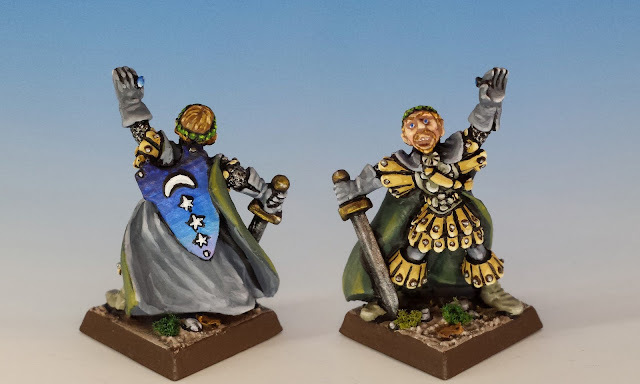 They seem like detailed and compact miniatures which find the right balance between realism and that illustration-like quality that I really prize. Incredibly inspired stuff. I particularly like your reading over Gothmog and how you focused the character. Great!! I'm glad you liked the Gothmog bit. I like chewing on things like that. Lovely work again. 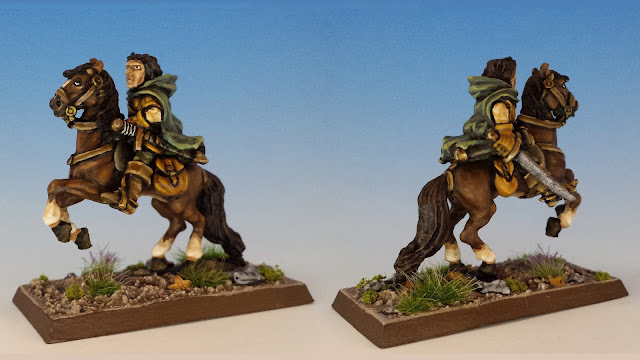 I must admit I find the 80s era citadel line of LoTR figures to be really hit and miss. I've painted a few of the nicer figures over the years but haven't got the urge to collect the lot a some are a bit ordinary. And as you note it they missed certain figures (Galadriel being the most obvious)that one would have expected citadel to have done - odd when they did multiple versions of the hobbits, Gandalf and Aragorn. 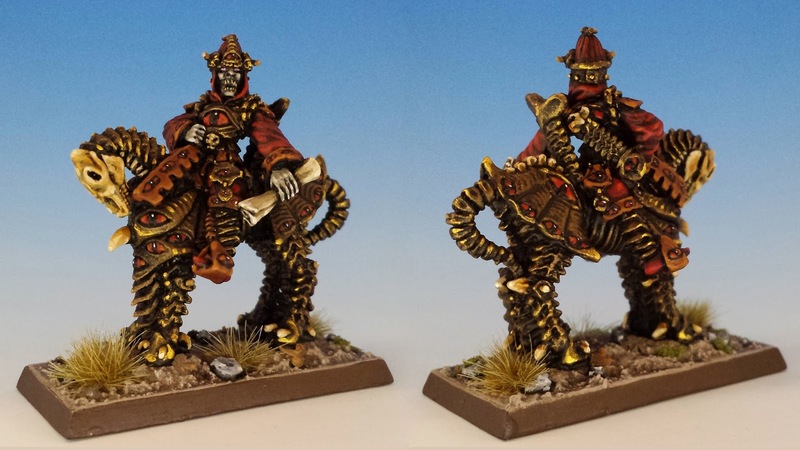 Beautiful minis, painting, and interesting text. Clearly a labour of love.